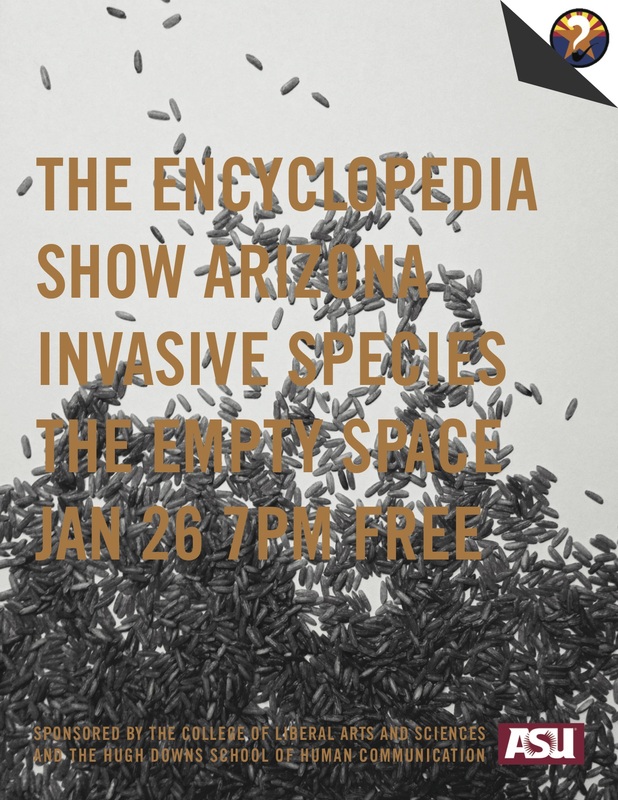 Encyclopedia Show Arizona is invading 2015 and our topic is Invasive Species. Join us at the Empty Space Theater in Tempe on January 26 at 7:00pm as investigate this strange and scary topic. As always the show is a free, semi-educational, multi-genre edutainment variety show that hopes to teach and tickle your brain. There will be poetry, music, games, probably a few laughs and hopefully you! As always if you are interested in performing in the show, please reach out to us at encyclopediashowaz@gmail.com.